Does your sewage get blocked repeatedly? We detect on average 4,500 problems with sewage every year. But pipeline cleaning may not get to the root cause. If the same problem is repeating our camera inspection will reveal the sewage condition and determine the cause of the blocking. Then we can solve your problem once and for all. Before we send our camera system into the pipeline we have to make a route for it. We use cleaning technology for sewer cleaning and household drain cleaning technology, removing all blockages faster than standard cleaning vehicles and making things more affordable for you. Do you have ingrowing roots, hardened concrete or cracked pipes? Our camera inspection will detect the cause of your problem. We locate it on the surface mark it and suggest a method of repair. We carry out sewage inspections mainly in Prague and the Central Bohemian Region. We use 4 of the most modern camera systems, that can measure crack size, neck overlap, oval shape deformation and pipeline slope. And our record process and test results are issued in a written report and a video record on CD. After sewer inspection we suggest a suitable method of repair and estimate a price. Milling is often enough to remove in-growing roots or leaked concrete. 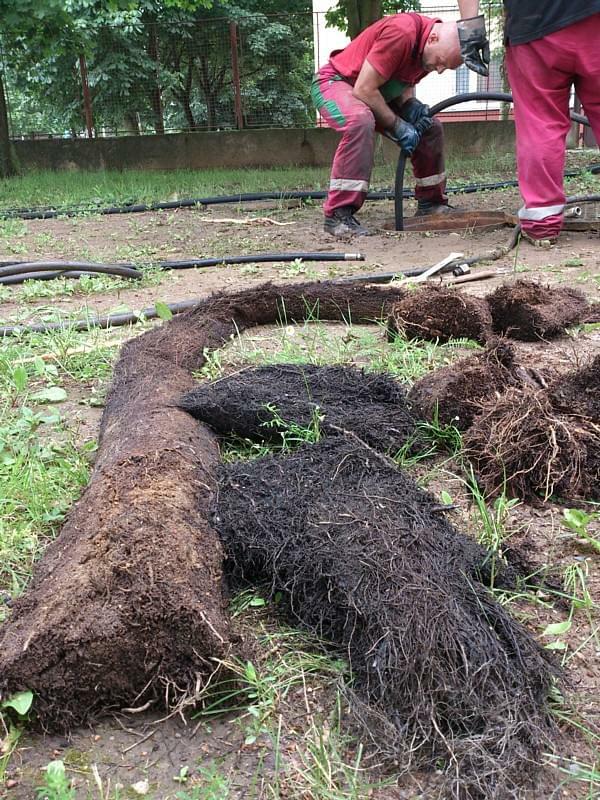 If there is a risk the roots issue may arise again, we’ll prevent it by inserting a recovery lining. And we fix damaged pipelines using trenchless technology or by excavation. We will solve all your problems with sewage, so look no further. Even after 23 years of experience some things may surprise us but never catch us out. We’ll never shy away from an emergency. 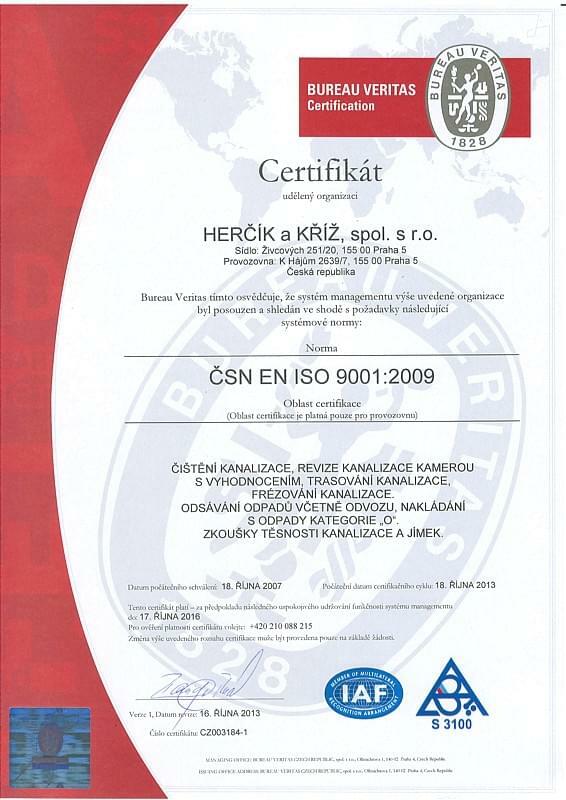 And our quality certificates as well as 12,700 satisfied customers are testament to our outstanding services. Call us on +420 722 153 921 between 6.30am and 6pm or describe your sewage problem in writing. A member of our team will calculate the estimated price and arrange a date for inspection. Or we can also call out to inspect the defect and propose a solution.